Even from an early age, Danish born, Jesper Emborg wanted to direct. Out of Lego blocks a sound stage and crew was created. The stars? An Action Man, a race car and a football. The start of an ongoing love affair with Formula 1, football but most of all filmmaking. Years down the line Jesper Emborg has directing a wide variety of commercials, music videos and corporate films. His work includes comedy, lifestyle, fashion among others. He has also written and directed drama and shows for television. He has even appeared onscreen in “ opstars" and "Next Topmodel", not as a singer or model mind you, but as the director shooting the winners video. Jesper Emborg lives in Copenhagen with his wife and daughter. Love my wife. Love my daughter. Love my friends. Love the films I make. Love the moment I’m in. In a word: Passion! Who knows if they are better than other people? It’s not really important. What is important is that you are the best that you can be! So I try to be best I possible can be in every situation. And when you love film making with the same passion as I, being the best you can be is not difficult. To have a point. To make you laugh, cry and think. I’d like my films to do just that. To have a point and give you an experience, be it laugh, cry or think - or all of them. Without a shadow of doubt, my daughter. Who would have imagined that I could “co-produce” such a beautiful and gentle soul? On a personal level - The death of my father. 7 years on and it's still ever present. On a professionel level, it’s dealing with all the aspects of film making that actually isn’t film making. The meaning of life, is to give life meaning. Apart from my wife and daughter... Anyone who can make me laugh. Laughter is the only religion I believe in. So all hail the Rev's. Louis Black, Jerry Seinfeld, Amy Schumer, Bill Burr, Sarah Silverman, Kevin Hart… The list is long. Copenhagen, Berlin and London in that order. Copenhagen for quality of life. Berlin for the inspiration. London for the buzz. 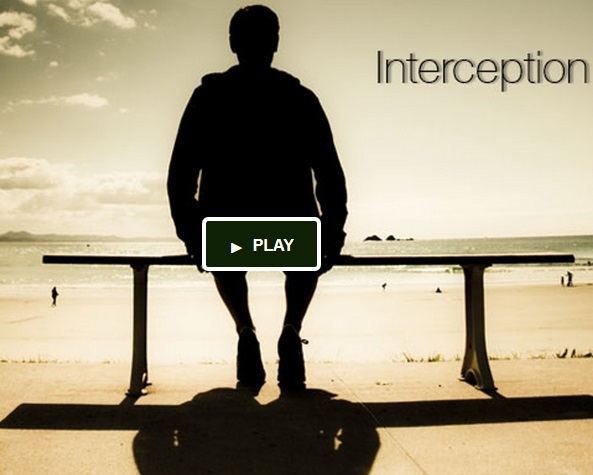 “Interception”, the short film project that we are trying to raise funding for on kickstarter.